Without any doubt, Installous API Permission Denied error means your IP address has been blocked by gurus at Apptracker. 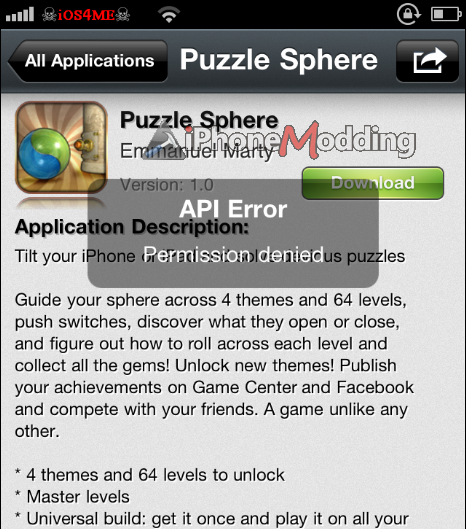 This can be a temporary or a permanent ban because of excessive requests to Installous API. 1. If you have dynamic IP address, wait for next 24-hours as every dynamic IP gets renewed on daily basis. 2. Find your IP address by visiting this website and request folks at Installous forum to unlock it. 3. Use a proxy server to access internet. To do that, go to Settings » Wi-Fi » Wi-Fi Network and choose your HTTP Proxy by tapping on the Manual button. You can get free proxy-server list through this website. from Installous 4.4.1. To fix this error, all you need is to uninstall previous installations of AppSync and then re-install AppSync from Hackulo repo. To check if you have installed AppSync from a repo other than Hackulous, just follow this simple guide. 2. Just choose the Remove option and wait while Cydia removes it from your iDevice. 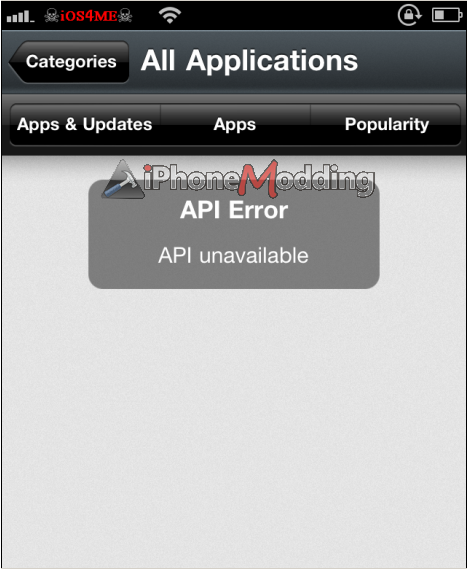 5.After installing AppSync, do not forget to reboot your iPhone. Open Installous app and try to install any IPA. Hopefully this time you will not get any Invalid IPA file error. Thanks for the excellent guide, iOS4ME!